This is the time of year when folks in South Florida stay glued to the Weather Channel and the weather sites. We got drenched by Fay, dodged Gustav and are keeping our eyes on Hanna until it makes a northward turn. As if that’s not enough, Ike is due east, moving quickly to the west and there are several other hot spots lining up. Since it’s Labor Day, a holiday, I’m not sure if this qualifies as my first official ride of retirement after 49 years in the ink-slinging business. It probably won’t dawn on me that I’m unemployed until the alarm doesn’t go off in the morning. Work, a cold and weather have kept me off the bike for about two months except for a couple of short rides. 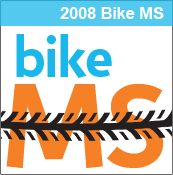 That’s not good, because I’m signed up for the Memphis MS-150 in two weeks. I headed off to do my normal Lake Worth, FL, 12-mile neighborhood loop to see how the legs worked and to scout out new material for the blog. With all the storms, I figured the beach would be a good place to stop. 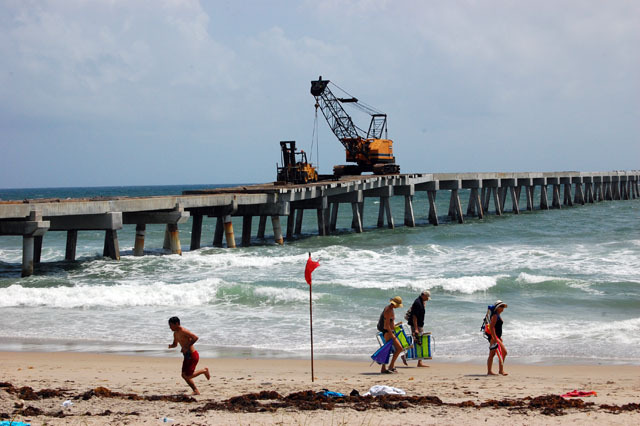 Heavy equipment being used to repair damage to the pier from the 2004 and 2005 hurricanes is still in place. The red flag is standing straight out, indicating a 12-17 mph wind out of the northeast. The heat index was somewhere around 95 degrees because of high humidity. That reminds me why I like to ride at night. Even if I do have days free, I may still favor evening and night rides. Not everyone feels that one, of course. There were lots of bikes on the road today. Some of them were “serious” riders, some were casual riders and some were rusted beaters that showed the hard use of some folks who used them for daily transportation. I suspect that many of them ride more miles a month than the “serious” weekend warriors. Then he went on to list all the reasons why he wouldn’t vote for McCain and four more years of George Bush, who he described as a C-grade business major. By the end of the conversation, he had pretty much conceded that he WOULD vote Obama. I think his all-over-the-map opinions are typical of the concerns that voters have this year. Reminds me of a ride a couple of years ago when I did a turnaround on the north end of Jupiter Island. A young woman in a bright orange two-piece that would have starved a moth walked by. I would love to have a jersey made of that material. It was obvious that I would have no trouble being seen on the road because the color must have attracted the attention of everyone on the beach. At least, I think it was the color. I turned to a picnic table of older woman and said, “The only consolation we have is that she ain’t never going to look better than she does today. It’s all downhill from here.” Knowing looks and smiles greeted the comment. Y’all stay safe out there. Do you know where you hurricane supplies are? Furthermore, his speed? Being approached on a bridge ramp by a Pavement Princess who likely was undercover — while he was on the bike and looking every bit like the local 2-wheel cops. She was desperate on every account. I got married at age 22 in 1969. I was officially a non-combatant by the time the Sexual Revolution was launched a few years later. Then, just about the time I could legitimately attain Dirty Old Man status, Human Resources outlawed it. I never could catch a break. And, for the record, the Pavement Princess was at a stop sign just before the Port of Palm Beach Flyover and just after I had climbed the Blue Heron Bridge. I need to start riding farther south. I rode to Palm Beach Inlet Tuesday night. Great ride, even with a 16 mph wind out of the northeast. Temps were decent and I had the island to myself as usual during the summer season. I started to call you after I got on the road, but I figured it was too late. Interested in doing a ride or two before PB gets wiped out by one of the string of storms headed our way? 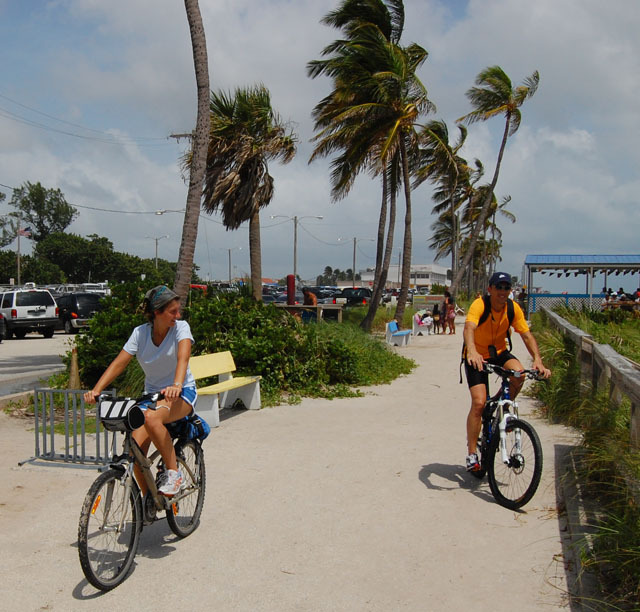 I rode from Lantana up to PB Inlet on Saturday. Nice ride, but HOT. I need to get brave and try your night riding trick. Next time you’re down South, check out the future site of the Lantana Inlet, currently called Lantana Public Beach. The waves were hitting the dunes on both Saturday and Sunday and I figure the next big storm will create a new inlet there. I see Lila in the bikini…Green is a good color for her.